Once the house was painted we could finally, finally sand and polish the timber floor. You may, like many of our family and friends, believe that the floors look great as they are based on the photographs I've shared. I'm sorry to say, I've deceived you. I usually took photographs of the house and the end of each stage of work when we had cleaned everything up. This usually involved me mopping the floors so I took photos immediately after...as a result, in some shots we appear to have beautifully polished floors. We didn't. The floor has an original coat of sealer applied after the kitchen was installed but before most of the house was carpeted. It makes the floors appear finished but if you had seen them in person you'd know there was marks from carpet underlay, plenty of nail holes from the carpet, hundreds of tack holes from the kitchen lino (one every 10cm! ), unpolished areas of floor (under the kitchen benches and a random part of the hallway) and lots of scratches and dents on the originally exposed areas of flooring (the dining room and hallway). So the floor really did need to be redone, it was a 'need' as much as a 'want'. We hired a drum sander (operated by Dad) and an edge sander (operated by SJ) and the floor was stripped back over a weekend. We filled all the holes with a dark wood filler, in the kitchen it was watered down to make a slurry which we swooshed around the whole floor to fill the holes. Some had to be refilled after it dried but it was a much faster method than the traditional scrape and fill we used for the bigger holes. Prior to sanding we also checked over every inch of the floor to punch any wayward nails. They in fact give the impression of being amazing sanded... You may, like many of our close relatives, believe that the areas look excellent as they are based on the pictures I've assigned. System the particular virtues of any professional bottom refinisher may be the property you are working away at has genuinely outdated floor surfaces. Some of those good reasons getting that it is difficult with the newbie bottom sander to identify accurately which type of tools could well be suitable Sanding floors to the employment the place where a professional would understand this info avoiding prospective injury to your bottom simply by deciding on the wrong sander. Very interesting. 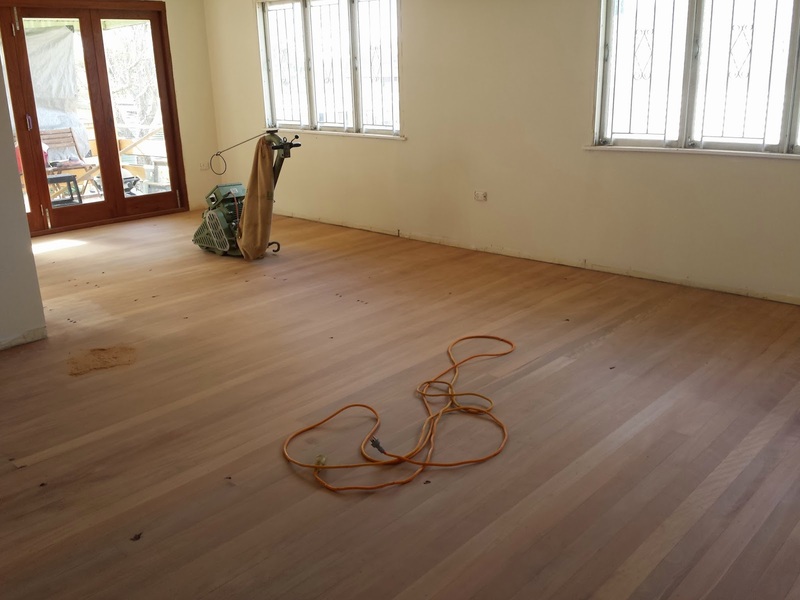 floor sanding would really improve a lot how your wood floorings look. The article seems very interesting to read.